I fully admit, I’m an avocado addict. Yes, they’re loaded with nutrients, including folate, vitamins B, C, K and E, fiber, niacin, potassium and more. They’re a great source of good fats and fiber. But I really love them for how they taste, and their mouth feel. Based on reader enthusiasm, here are a few of our favorite easy avocado recipes. You don’t need a lot of ingredients when you combine such an awesome set as these in Mango, Avocado, and Arugula Salad (above). It’s a pretty salad that brings such cheer to cool-weather meals. 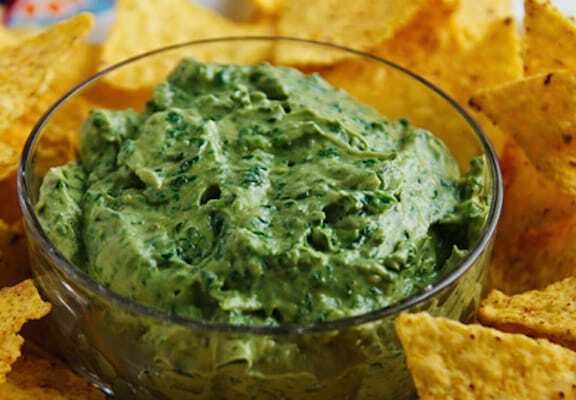 Kind of a marriage of guacamole and hummus, and infused with a good amount of tender greens, Very Green Avocado-Tahini Dip makes a unique statement. Serve with tortilla chips, fresh pita, pita chips, raw veggies, or a combination thereof. 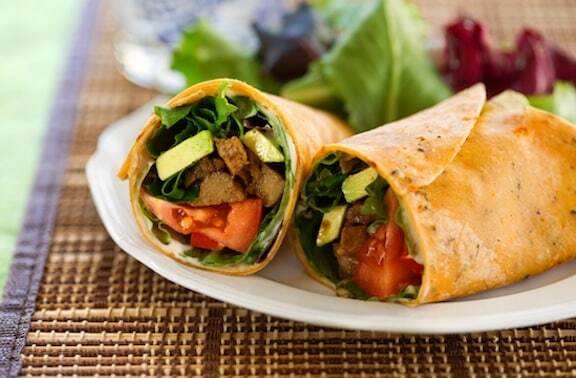 This BBQ-Flavored Seitan and Avocado Wrap recipe is a longtime family favorite. Barbecue-flavored seitan contrasts deliciously with cool avocado and leafy greens. Like most wraps, it’s a salad disguised as a sandwich. 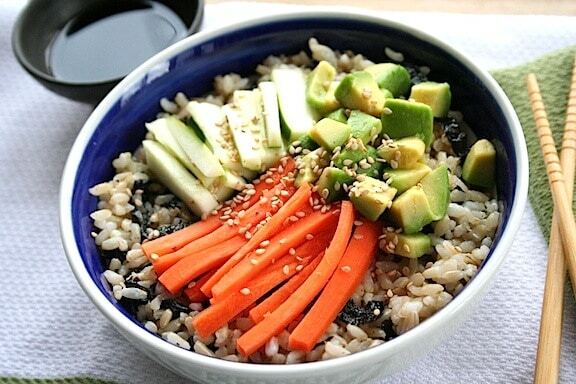 This delightful Veggie Sushi Rice Bowl tastes like your favorite veggie sushi, but without the fuss and mess of the rolling and cutting. It makes ample use of avocado. 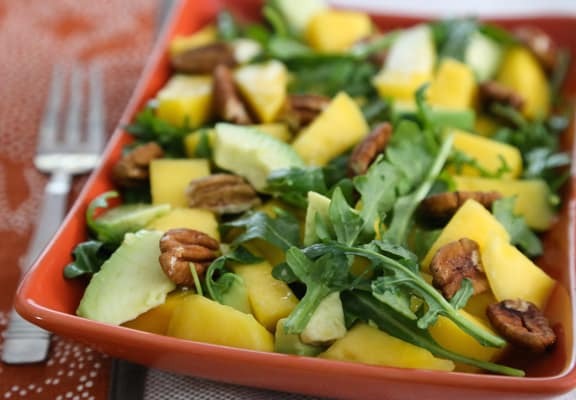 Mango and avocado salad is a summertime classic. 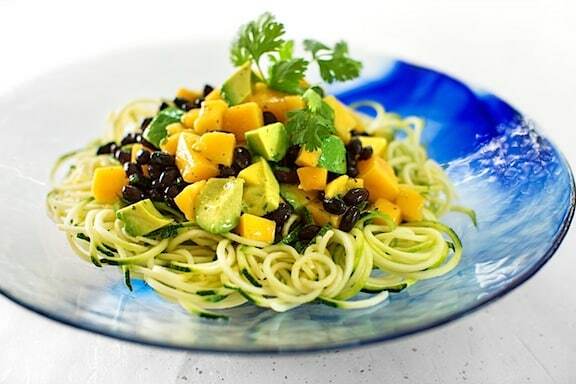 Gena Hamshaw’s Zucchini Pasta with Mango, Avocado, and Black Bean Salsa takes that concept several steps further. 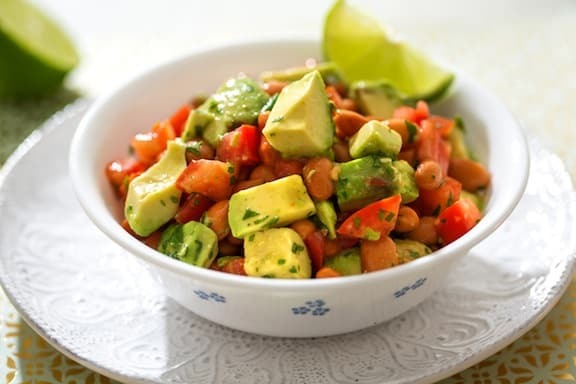 Avocado and Pinto Bean Salad has a Southwestern flair, so this tasty combo goes well with simple quesadillas and other tortilla specialties that don’t themselves contain beans. 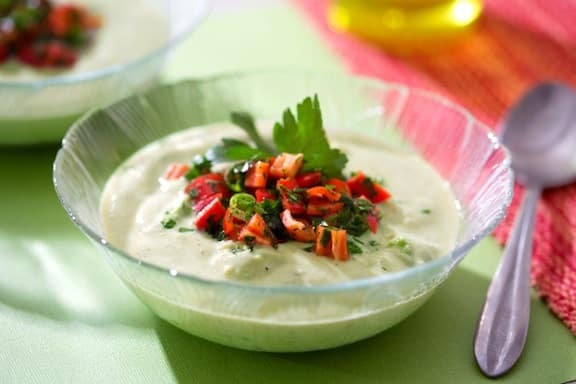 Requiring no cooking, this Creamy Chilled Avocado Soup is remarkably refreshing on a hot summer day. 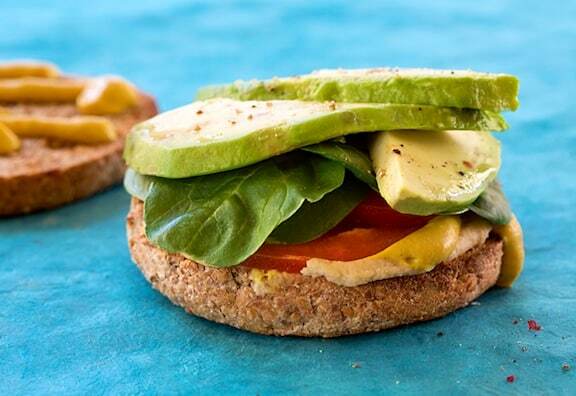 In my book any way to eat an avocado is the right way! I’m especially drawn to that decadent looking tahini dip! A perfect topping for my beloved blue corn chip snacks! avocados also make a brilliant base for chocolate mousse!